Every once in a while, accidents can happen, resulting in a chipped or missing tooth. When this happens, dentists are available to fit either a dental crown or bridge to your mouth. 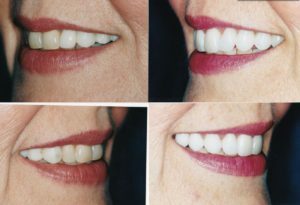 Crowns and bridges are prosthetic devices that are adhered to an existing tooth or implant, meaning that, unlike dentures, they cannot be removed without the help of a dentist. 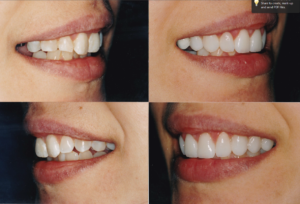 Depending on your condition, you will be fitted for either a dental crown or bridge. Bridgework often involves dental crowns as well, as these caps are used to fill in the bridge. 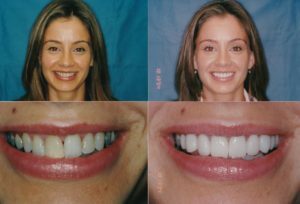 Aside from a part of bridgework, a dental crown is typically used to cover a damaged tooth, whether it be chipped, decayed, or unattractive. 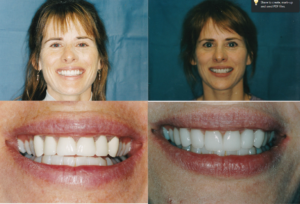 Dental crowns will completely cover the tooth, essentially “capping” your damaged tooth. 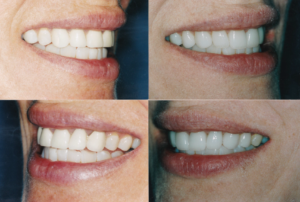 Unlike veneers, crowns do not need much original tooth structure to function properly. 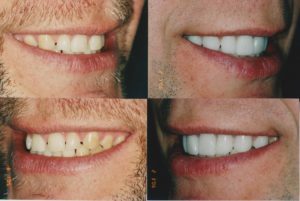 Therefore, if the damaged tooth has little to no structure left, you will likely be fitted for a crown. 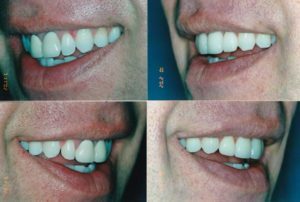 Other instances where you would want a dental crown would be a fractured or weak tooth in order to prevent further damage, to cover a poorly shaped tooth, to fill in a tooth that has gone through a root canal treatment, and more. Luckily, with the technology available today, these caps look just as natural as actual teeth do. 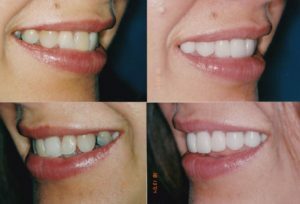 The most commonly used material is porcelain that is bonded to a metal shell, although dentists can also use acrylic or ceramic. 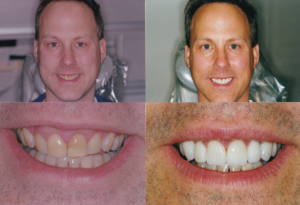 A benefit of the porcelain and ceramic crowns is that we can match the coloring of the crown to your remaining teeth. Getting a dental crown can seem daunting, as it takes a couple of visits to the dentist for the whole process. However, when you see the difference it makes in your smile, any inconveniences will seem worth it! 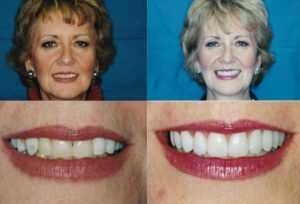 If you are missing one or more teeth, dental crowns will not do the job; you will likely need bridgework. 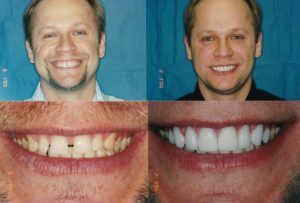 Missing teeth are a problem that ought to be addressed as soon as possible, for issues can arise, such as your remaining teeth shifting, gum disease, and more. 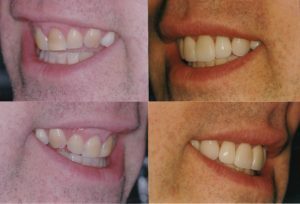 These bridges are created by using the surrounding healthy teeth as abutment teeth. 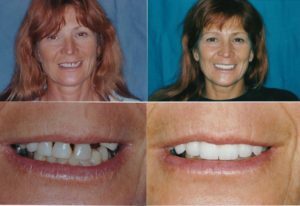 Crowns are placed on the abutment teeth to help support the “pontic”, or replacement tooth, which will be placed where the tooth is missing. 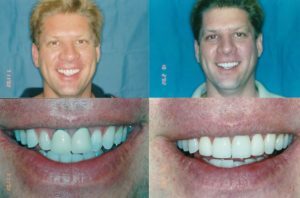 There are different materials one can choose from; your dentist can describe pros and cons of each, as well as benefits and costs of bridgework in general. 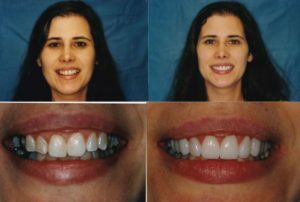 Remember that with crowns or bridgework, you will still need to take care of your teeth! To maintain your dental work, you will need to brush and floss, as well as continue to see your dentist twice a year. If you have questions about dental crowns or bridgework, call Dental Professionals at 773-327-4442. 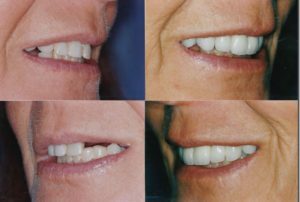 We offer free consultations for major dental work, such as crowns or bridges.